The leaves of this plant are the real attraction. A basal rosette of oval, bluish green leaves hugs the forest floor. 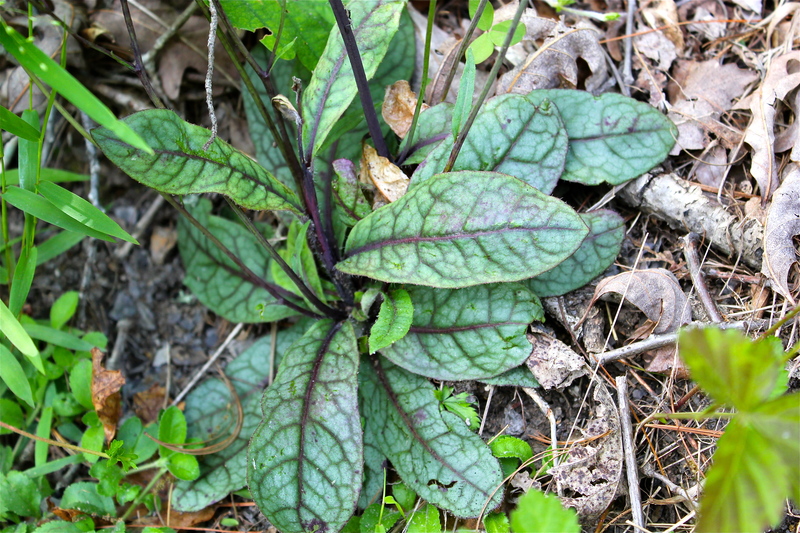 Each leaf is outlined with deep purple veins that form a net-like pattern. From May to September, the plant can be found in bloom in shady, dry forests. The dandelion-like, yellow flower heads appear in open clusters on a long, leafless stalk.